This is one of those genius "I can't believe this hasn't been done already" kind of things. 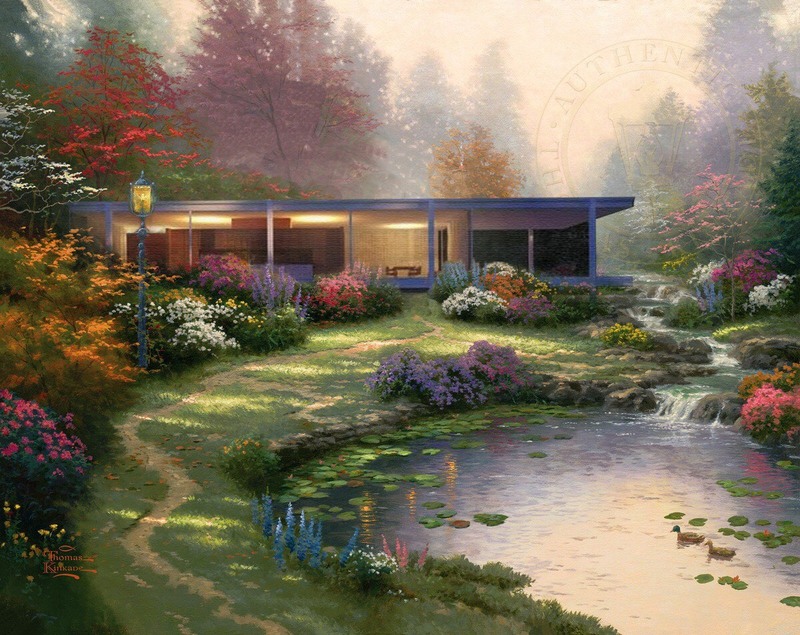 An architect from Indiana has photoshopped recognizable modernist homes into the overly sentimental, idyllic world of a Thomas Kinkade painting, making for a funny mashup series. It all started with this tweet from another architect, Donna Sink, where she instigates, "Does anyone do paintings of Modern buildings in the style of Thomas Kincade?" Does anyone do paintings of Modern buildings in the style of Thomas Kincade? Indianapolis-based @robyniko answered her call, writing, "I'm in. Let's start off easy with one of Kahn's beautiful boxes (eg the Fisher house)..."
On this one, he writes, "Ok i really have to stop now. Merry Corbsmas:"
But he didn't stop. He then tackled the Farnsworth House (which I included as the lead image above). A couple days later he was still at it. 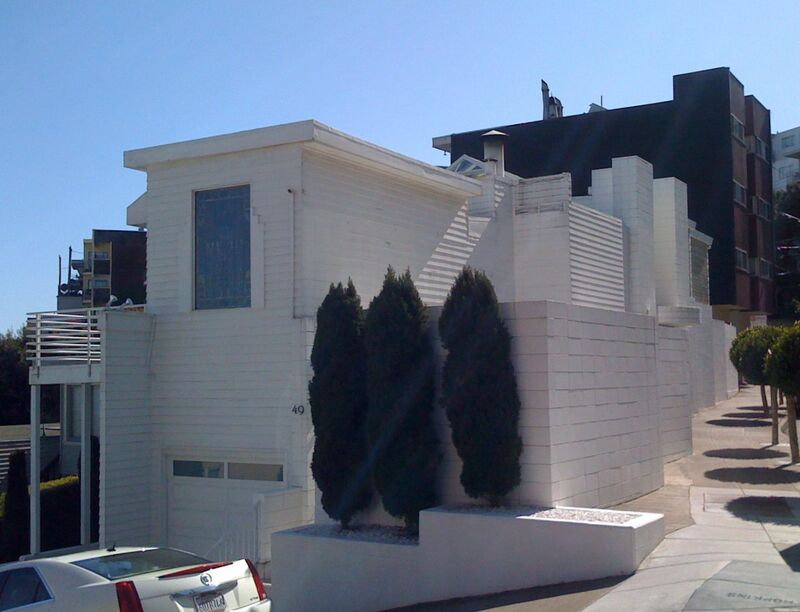 On this one, he writes, "Pack your bags for a rocky seaside getaway at the Gehryhaus! You'll love the *squints at copy* homey chain link fence & softly weathered *checks notes* corrugated steel siding while you eat a homemade breakfast in the soft glow of the *deep sigh* aggressively geometric sun room." 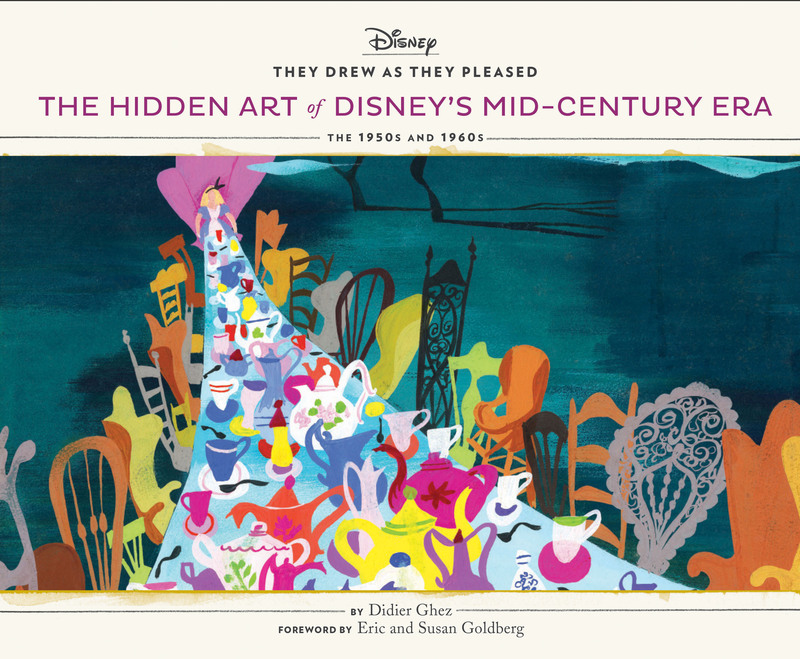 Didier Ghez is a dedicated Disney historian who has embarked on a massive, multi-volume history of the art of Disney in his They Drew As They Pleased series from Chronicle Books; I enjoyed the first three volumes of the series, but volume 4, The Hidden Art of Disney's Mid-Century Era: The 1950s took my breath away. 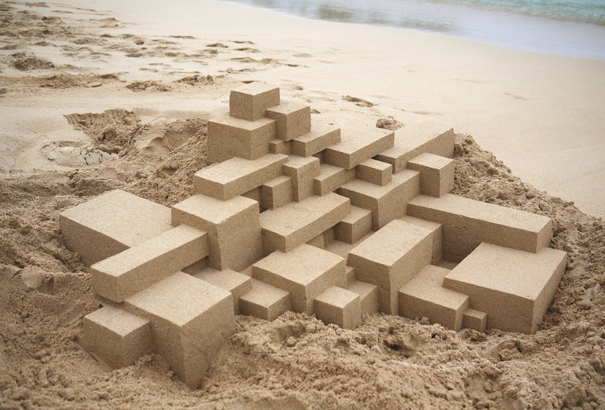 Calvin Seibert makes modernist sandscastles on Coney Island. At Little Atoms, Caroline Christie interviewed him about his remarkable creations. I like making things and tend to work with whatever is at hand. Building sandcastles at a beach to me is a very natural thing to be doing. As a child, I saw photographs of the French ski resort of Flaine. I was very taken by the brutalist buildings, designed by Marcel Breuer. Since then I have always gone out of my way to see brutalist architecture and when I build sandcastles I have them in mind. A five-gallon paint bucket is essential. Paint buckets are particularly rigid and have a nice sharp edge for digging with. Then it is used for carrying water. Lots and lots of water. The tools are all made of plastic. I have a couple that are nothing more than a small rectangle of 1/8-inch plastic with a beveled edge and then a couple of trowels of different sizes. 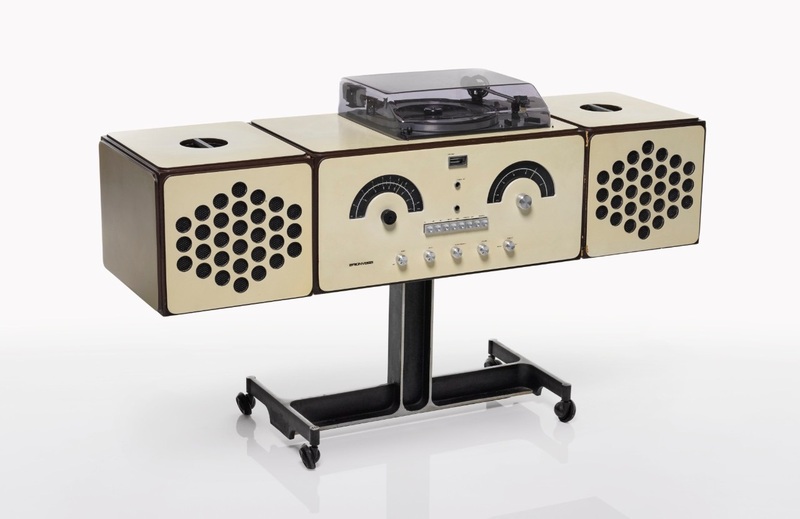 The name “Memphis” was supposedly chosen after an early brainstorming session, during which Bob Dylan’s song “Stuck Inside of Mobile With the Memphis Blues Again” played repeatedly on the record player. The designers appreciated the word’s disparate connotations, evoking both cheap American kitsch and the regal city of ancient Egypt. 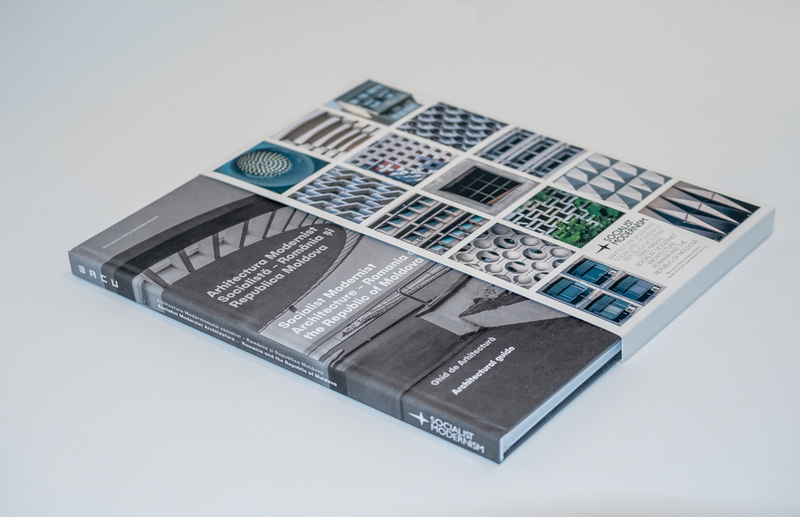 United in their efforts to reject traditional notions of “good design,” the Memphis artists mocked the bland austerity of Modernism by mixing clashing colors, patterns, and materials on playful geometric forms that often masked an object’s intended use. Although their collaborations only lasted a few years—Sottsass left the Memphis group in 1985, and the rest parted ways in 1987—they caused an uproar in the design world. Memphis sensibilities continued trickling into mainstream design via knockoff brands that influenced interiors everywhere from movie sets to high-school cafeterias. What happens to a utopia that never got off the ground? Bits and pieces of one, an experiment in postwar living for the masses, are hiding in plain sight in the hills above Sunset Boulevard. 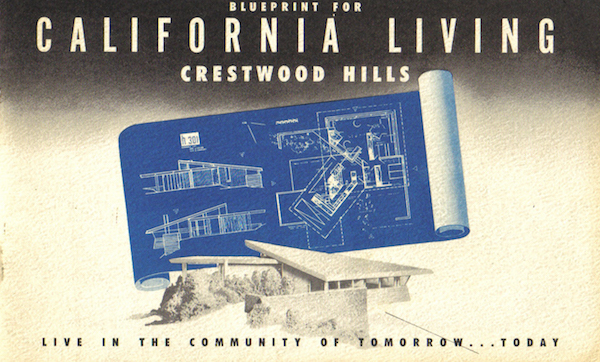 Architect and author Cory Buckner talks about Crestwood Hills, a Modernist vision for a cooperative future that never quite arrived. A note from the producer: If you'd like to help HOME get off to a good seasonal start, drop by the iTunes Store and subscribe. And if you have a minute to leave a rating and/or review, that helps stir the algorithmic stew that gets shows noticed. Thanks for listening. Imagineering Disney has a great gallery of construction shots of the Contemporary Resort, a huge, modernist A-frame structure whose rooms were all prefabbed offsite and crane-lifted into place. On the Vintage Ads LJ group, NoLuck_Boston posts a pair of ads for "bold spaces," the first from 1948, the second from 1935, a two-frame timelapse. I love the busyness of 1935's Chinoise car-wreck, prefer it to 1942's modernism. On Super Punch, set of photos of a beautiful, enbubbled, betailfinned Los Angeles land yacht spotted on the 101. Hoo-ah. 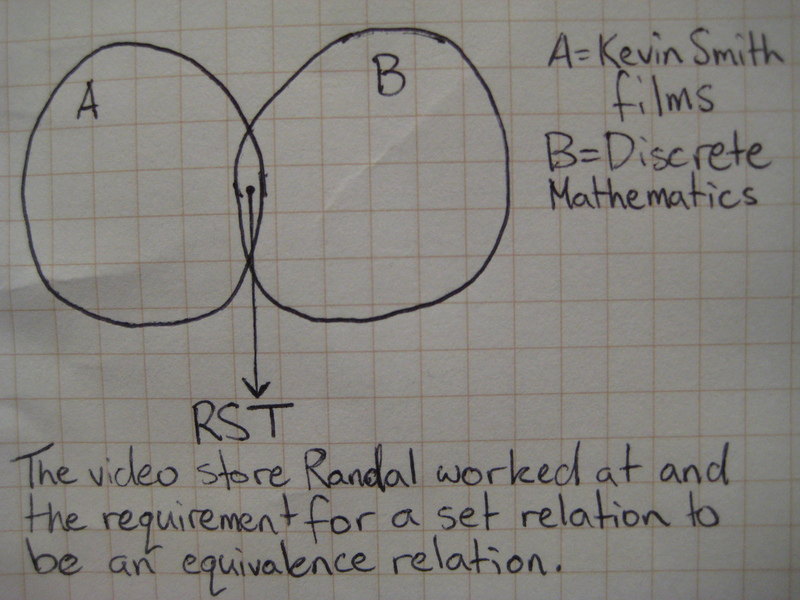 What do Christian fundamentalists have against set theory? I've mentioned here before that I went to fundamentalist Christian schools from grade 8 through grade 11. I learned high school biology from a Bob Jones University textbook, watched videos of Ken Ham talking about cryptozoology as extra credit assignments, and my mental database of American history probably includes way more information about great revival movements than yours does. In my experience, when the schools I went to followed actual facts, they did a good job in education. Small class sizes, lots of hands-on, lots of writing, and lots of time spent teaching to learn rather than teaching to a standardized test. But when they decided that the facts were ungodly, things went to crazytown pretty damn quick. All of this is to say that I usually take a fairly blasé attitude towards the "OMG LOOK WHAT THE FUNDIES TEACH KIDS" sort of expose that pops up occasionally on the Internet. It's hard to be shocked by stuff that you long ago forgot isn't general public knowledge. You say A Beka and Bob Jones University Press are still freaked about Communism, take big detours into slavery/KKK apologetics, and claim the Depression was mostly just propaganda? Yeah, they'll do that. Oh, the Life Science textbook says humans and dinosaurs totally hung out and remains weirdly obsessed with bombardier beetles? What else is new?